Welcome to Oklahoma. Tulsa is still reaping the benefits of rapid economic growth that began when drillers struck oil in Tulsa, the city’s growth and development increased significantly. The many parks and gardens around Tulsa not only make it a nice looking city, but they have also earned it the nickname “Green Country”. Tulsa is home to the Gilcrease Museum, which displays more than 10,000 American West artworks dating from colonial times to the present. The Philbrook Museum of Art is an Italian-Renaissance villa that is surrounded by gardens and holds a varied collection of artworks within. Find outstanding lodging deals at the top Trip Advisor hotels in Oklahoma by following the links below. 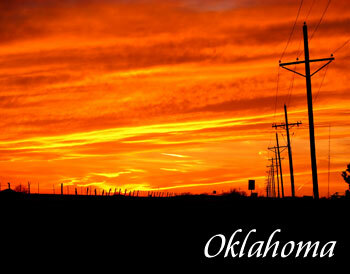 Contact us to feature your Oklahoma hotel or lodging property. Located at the foot of the beautiful Ozark Mountains, Tulsa is known as the cultural and arts center of Oklahoma, and is home to the Philbrook Museum – one of the top 50 fine art museums in the United States. Located at the foot of the beautiful Ozark Mountains, Tulsa is known as the cultural and arts center of Oklahoma, and is home to the Philbrook Museum - one of the top 50 fine art museums in the United States.